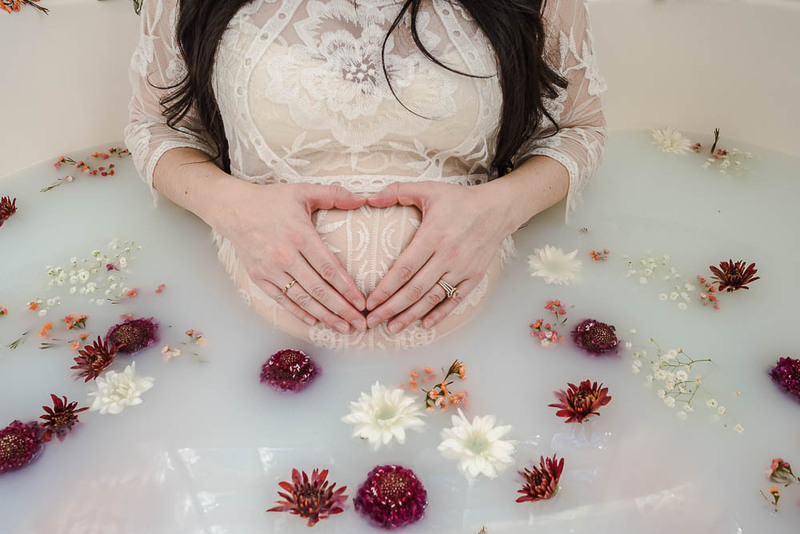 Feel beautiful and celebrate your baby bump or newborn in a luxurious milkbath session! Maternity Milk Bath sessions are all the rage! You should expect to get all glammed up, lay in a milky bath and take fabulous photos. Sorry, I will not rub your feet while you are in the bath. These unique photos are a wonderful way to celebrate your pregnancy, newborn baby, or just because! Milk bath photo sessions are performed in the comfort of your own home (an alternate location is available upon request and availability). The sessions generally takes an hour and a half and is not made to be rushed, but to make you feel beautiful, special, and comfortable. All supplies, including unique, quality flowers from a local florist, are provided by Cherry Blossom Doula Services. Each session will be personalized just for you!